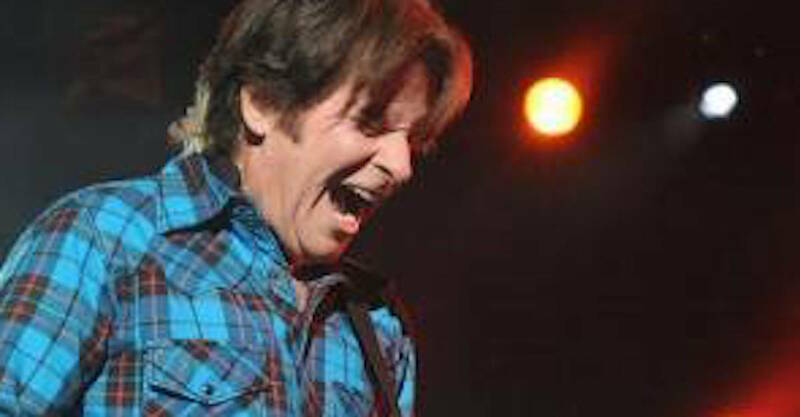 John Fogerty is on a roll right now. 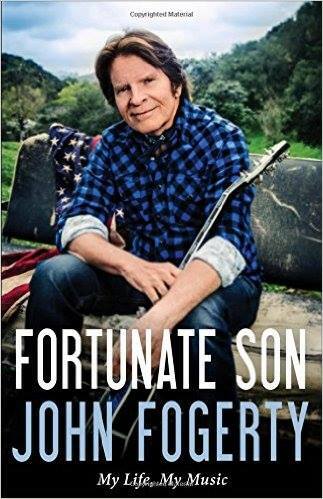 His memoir Fortunate Son: My Life, My Music got great notices and was a The New York Times Best Seller. He has signed a new solo recording contract with BMG. 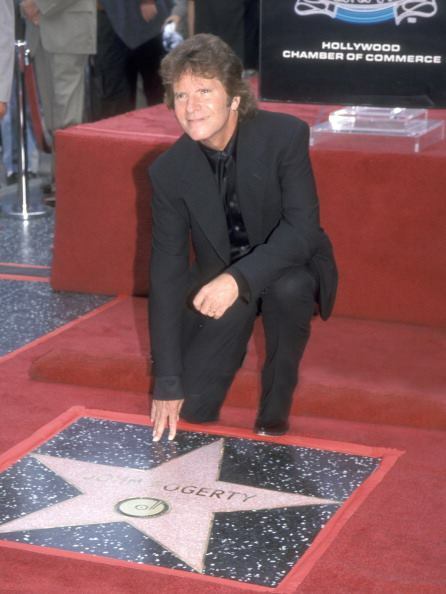 And even though Fogerty experienced years of legal conflicts, bad blood and mixed emotions about his CCR legacy since the band broke up in 1972, he is today not just at peace with his past but reveling in its musical magnificence, followed by a distinguished solo career as well as his two albums as The Blue Ridge Rangers. 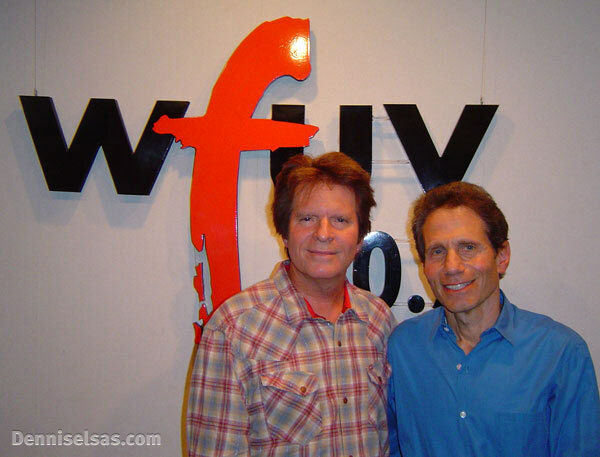 It’s a process that began in 2007 with his aptly named album Revival and its track “Creedence Song.” That’s when Best Classic Bands friend Dennis Elsas welcomed Fogerty for a talk on WFUV-FM, the station where the legendary classic rock air personality helms the weekday afternoon air shift from 2-6 PM. 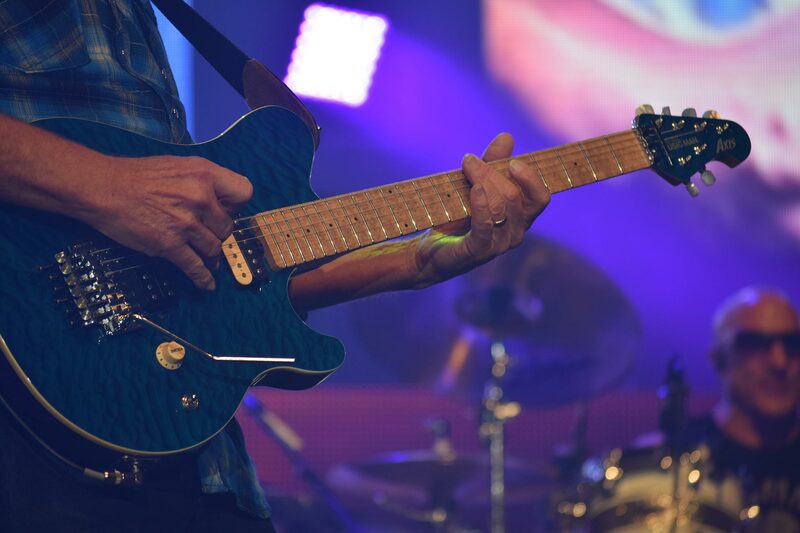 As Elsas says of Fogerty, “To be known not just for a band but a sound is a sure sign of status in music.” Today, at age 72, Fogerty is secure in his stature as a genuine rock music icon. Ten years ago he said, “I’m having too much fun.” It would seem that now in 2017 Fogerty is having even more fun. Dennis Elsas: The new record, obviously the name is Revival, and we know that that band that you were associated with oh so many years had the name Revival in it. Of course we’re talking about Creedence Clearwater Revival. But the first thought that comes to mind is because you’ve called it Revival, and because there’s a song in there called “Creedence Song,” I guess the obvious question is: have you finally come to whatever it is you needed to come to… peace… with all of that bad stuff from way back when and said, “You know, this is my heritage, why not embrace it”? 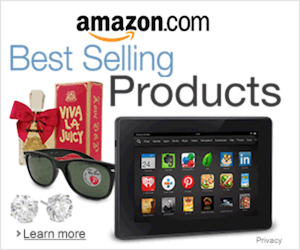 John Fogerty: Yes, I sure have. These days I’m a very happy guy. Life’s great. I’m just a lucky citizen of the world. You are quite right that I now look at my time with Creedence as a very happy, lucky and enjoyable time. I mean, what we did in just a few years was pretty remarkable. Come out of a garage in El Cerrito, California and end up going all around the world, having lots of hit records, playing in front of a lot of people. It was a great time. When I think about the music now, that’s what I remember. 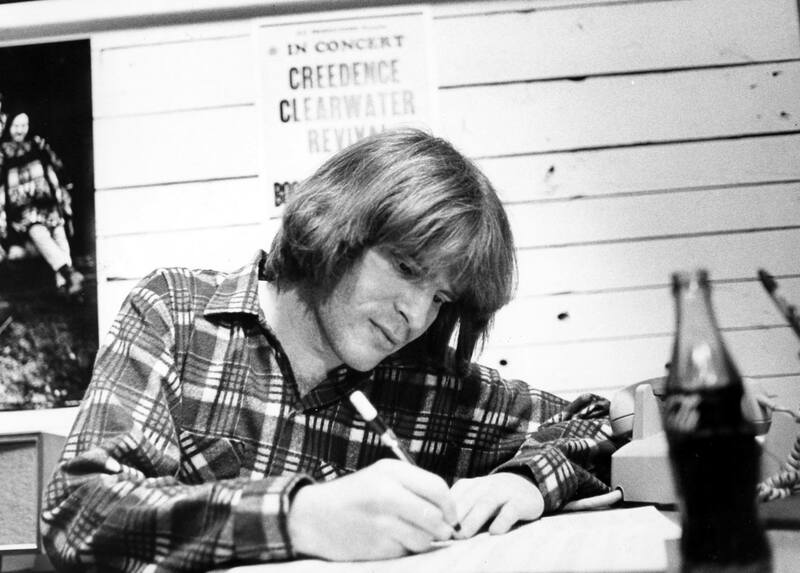 DE: I think you once said when people would ask you about the name, Creedence Clearwater Revival, you even said, “Well revival was always the most important part of the name.” It was all about reviving and bringing back the good times. JF: I should explain it was actually my wife that came up with the name for the album. While I had thought it was maybe a revival of my music craft and songwriting, what she was getting at was actually the journey that I had started out so long ago as a kid having a lot of success and then kind of traveling through the valley of despair, let’s say, and the long road finally leading out of there and to a happy place personally – that’s what she was getting at. That my life is now happy and that my spirit seems to be reborn or revived. And that’s what she was picking up on. That I have been reborn in a sense and that I’m free of all that sort of anger that I used to carry around. JF: Yeah, well, “Creedence Song” is certainly a fable. The actual story is not my story. I rather imagine some musician somewhere has had these events happen to him where basically he’s on a bandstand and somebody in the audience comes up and says: “Play one of those Creedence songs.” And we all seem to know what that sounds like even if you’re not specific to a certain tune. It puts a picture in your head. It also does in my head. That’s really the signal here. I just wanted everyone to know that I’m quite happy thinking about that music and proud. This album especially, Revival, it seems that I have perhaps finally rediscovered the whole thing, the mystique that was the way I wrote songs all those years ago. For whatever reason I seem to have veered off to the right or the left of it. And this time around as I began writing songs, it all seemed so clear. And also I gotta say it was fun and easy. The songs just came out in a mad rush and they weren’t agony to extract. They were jumping outta me, you might say, and the whole process was a lot of fun. DE: How do you try and keep your audience tuned into politically where you’re at and yet say, “Hey, I understand, we don’t all share the same political viewpoint”? JF: Being part of the  Vote For Change [tour with Bruce Springsteen] was a really fun experience. Of course, I got to play with the E Street Band. And as I said at the time, that’s a force of nature, an unstoppable thing going at you. That was really a lot of fun. I recognize that a lot of fans of my music aren’t necessarily sharing my political views. It’s not an exclusive club; I’m not trying to alienate anybody. First of all, I am a musician. That’s my first calling. I love playing guitar. I love writing songs. If I don’t get too preachy, which I have in my past. There was an album called Eye of the Zombie [on] which I had stepped over the line a couple times on that record…. My point of view is simply that: it’s my point of view; it’s an opinion. But I would hope that the people who love rock’n’roll who may be of a different persuasion would still just love music for music and be OK with that. Sometimes that little message in there may spark a little bit of, what’s the word, questioning, and wondering. If that happens, that’s a great thing, too. I guess I’m trying to say everybody is welcome as far as I’m concerned. Music is presented from a certain artist, obviously me, and my first calling as I say is trying to make people feel good and I do it through music. DE: You mentioned on “Long Dark Night” it’s like the guitar you’re using on “I Heard It Through the Grapevine.” You said it’s a special guitar. Is it the same guitar or just a special type of guitar to get that swamp sound, that Fogerty sound? JF: No, this was actually the same guitar as far as writing and playing it in the studio. It’s a 1968 Les Paul Custom. It’s the black guitar you see me with a lot in the old days and now. I don’t take that guitar out traveling anymore. It’s just, to me, it’s much too precious. But it’s still got some cool songs built in there and every once in a while, one comes out. DE: I remember reading that you had a notebook that you had written down a lot of thoughts through the years and had started some of those great songs that we know, and that you kept the same notebook or still have the same notebook? JF: I still have that same notebook. I started in 1967. The first entry in the book was “Proud Mary.” When I wrote it on the first line on the page, I had no idea what that meant. It was just something that for some reason wanted to come out of me and I wrote it down. A few weeks later I ended up calling the boat that I was writing this song about “Proud Mary.’ I mean, obviously, that had a huge impact on my career and the music I’ve made ever since. DE: People pay homage to your music all the time. Sometimes they give it credit, and sometimes they’re ah, shall we say, are borrowing it. 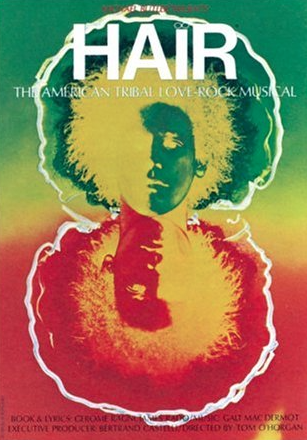 But in “Summer Of Love” where you’re obviously singing about the summer of ’67, you do a mean Clapton/Hendrix riff. Is that strange for a man who is considered to be one of the guitar greats and has created a sound that is certainly one of the most identifiable in the history of rock’n’roll, how did you come to want to sort of pay homage to two of those guys? JF: [laughs] Well, I’m almost compelled to say, you know, I like what they do better. I was in my little music place and I had the guitar and amplifier just roaring. And suddenly the riff, the guitar lick on the song came out of me with that sound and my brain just went immediately there. The name I wrote down was “Summer Of Love” because this thing was just sounding like the summer of love to me. I’m a great admirer of the two fellows you just mentioned and many more, obviously. 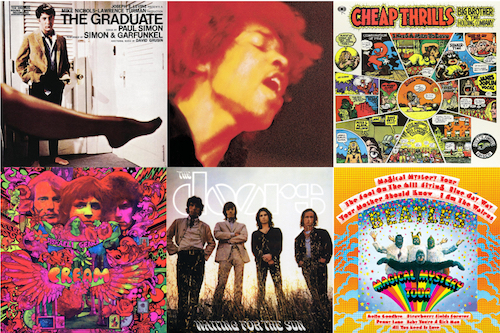 The sound of Hendrix, the sound of Eric Clapton and Cream, Jeff Beck in those days, Jimmy Page. They had a great thing going. I’m a guitar player. I love guitar. It just seemed like the right way to pay homage to that era. DE: There’s always a reverence for what has come before. But you are a rock icon now. Folks talk about the Creedence sound. They talk about the Fogerty music. And we haven’t even touched on all the singles stuff. I mean “Centerfield” is the quintessential song about baseball, which, of course, has nothing to do with Creedence Clearwater Revival. That’s all about John Fogerty. 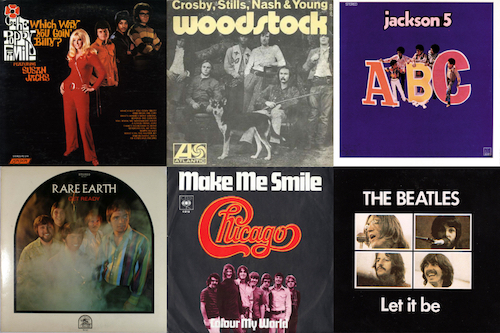 “Rockin’ All Over the World” and “Rock And Roll Girls.” All these other songs. There’s this huge body of work. JF: I never walk around think about the icon person. I think, number one, because I’m having too much fun. I like living. I’m happy and I’m just still mystified about the whole process of songwriting. All I do is hopefully set up the conditions by which a song will seem to come through from somewhere and land on me. It’s scary when they don’t. It’s even more scary when they’re bad. [laughs] And then once in a while, something good happens. If I have a talent, it’s that I can actually recognize the difference between a good one and a bad one. But I don’t put a weight on myself about all the things that have come before. I think that would probably slow me down. Certainly you would get pretty full of yourself, I suppose. The work or the craft of making music is fun all by itself. That’s what I love to do, playing guitar and being able to actually learn new stuff and get better, which I try to do, literally, every day. This isn’t lip service: I actually practice three or four hours every day because my goal is to get better. There’s a lot of stuff even still that I don’t know how to do. Guys like Chet Atkins who can play this wonderful multi-fingered approach to the guitar. That’s still waiting for me to master someday. There’s people like Joe Satriani that can run circles around me. Or Yngwie [Malmsteen]. It doesn’t mean I’m gonna end up sounding like those people. But because it’s intriguing and intense and beautiful when they do that, I wanna know how they do that. But guitar playing is one of those cool things you have to work for. You can’t just go down to the store with a credit card and say, “Here, I just want to be better now.” And they charge you a couple hundred bucks and suddenly you’re better. No, it doesn’t work that way. You actually have to put in the work, and at the end you master it. So it’s easy to see on that level, I can actually work at it and see improvement. The scary stuff is the songwriting and the knack of musical territory that presents a certain color to the listener and to me in a good place that I want to be. JF: Well, I’ve always said that my favorite song from the Creedence era is “Green River.” It just seemed to say and feel what I considered the center of what I was trying to do at the time of Creedence. 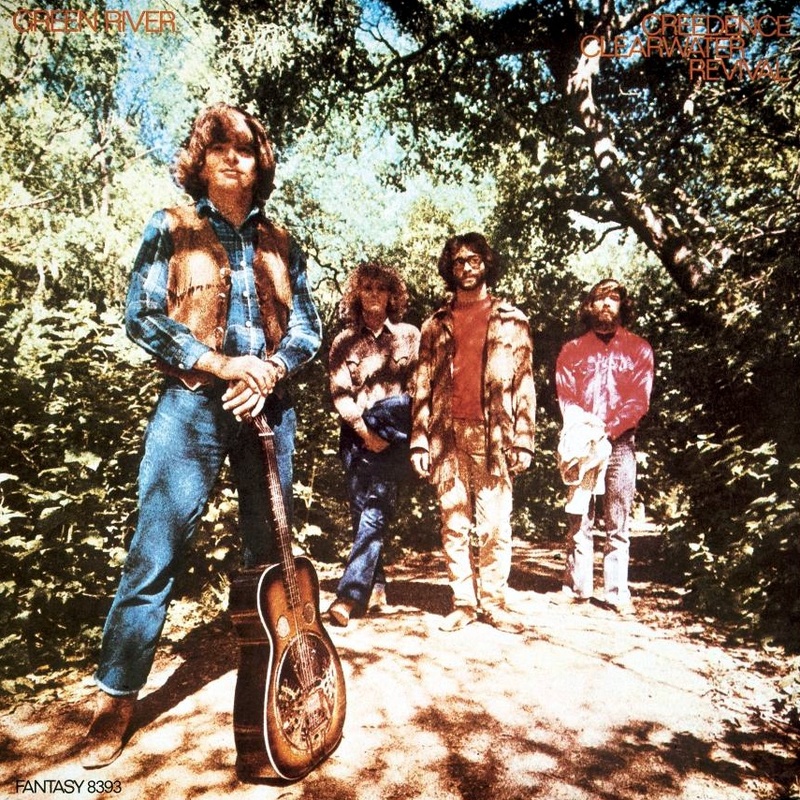 And certainly the album, too, which was called Green River. It just seemed to be the most realized or well-defined place that I was trying to get at. 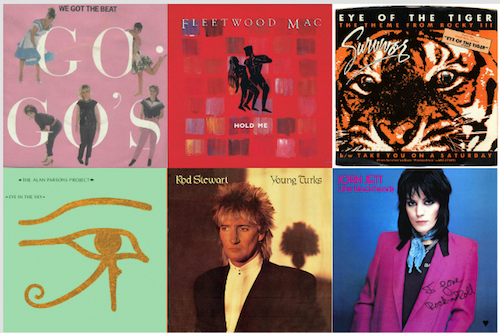 It wasn’t necessarily the album with the most hits on it. It was just the way that album sounded and felt; that was my favorite place. And “Green River” as a song was certainly my favorite. DE: And is there a Green River somewhere? JF: Oh, yeah, there’s a little place in Northern California. And the river is actually a creek or “crick.” My family would go there when I was quite young. I can certainly remember when I was two, three, four, five years old. There was a little cabin there that as far as I remember, the person we leased the cabin from was a descendant of Buffalo Bill Cody. I believe he was a grandson. He was 90, I think. That’s the Cody junior that you hear about [in the song’s lyrics]. There was a rope hanging from the tree. I learned to swim at this place. I learned to go underwater and look for pollywogs at this place. And I had wanted to write about that all my life, and finally when I grew up, I got to do it.